The longest-running ocean crossing rally in North America, the '1500' is a must-do for many cruisers. 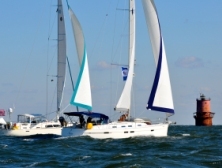 The ARC Caribbean 1500 fleet sails from Portsmouth, VA at the mouth the Chesapeake Bay to Nanny Cay on Tortola, British Virgin Islands. The start port and dates make the most of the available weather to maximize your Caribbean sailing, and our week-long pre-departure program will get you relaxed and ready for cruising. Without a doubt the most difficult part of getting to the Caribbean is timing the weather window before departure. Fall on the East Coast is squeezed between late summer hurricane season and early winter gale season. By joining the 1500, you can rest assured that the ‘experts’ are there to take the pressure off of that decision. Our support team consists of professional ocean sailors working closely with our weather forecasters at WRI to ensure the fleet makes it across the Gulf Stream and into warmer waters in the best possible conditions. Before you even get to the start, we help with your preparations by providing a comprehensive Rally Handbook and regular newsletters, and we’re here to help you find crew and answer your questions by phone or email. 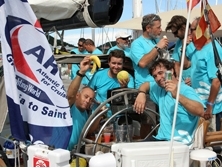 ARC Caribbean 1500/ARC Bahamas Update. There has been a mixture of emotions since the start of the 2018 ARC Caribbean 1500 and ARC Bahamas. Nervousness, happiness, excitement, and stress, were all present at the Skipper’s Briefing in Portsmouth, VA. Knowing that there was no tropical activity forecasted, and with good winds to sail down the coast to Cape Hatteras where we would then cross the gulf stream, our fleet set off at 10AM on... Click here for more info..
Caribbean 1500 and ARC Bahamas - now open for 2018. 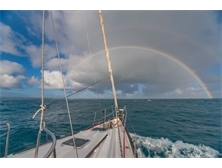 Thinking of sailing south this autumn? Come and join the fleet as we head off towards the warmer climates of the Caribbean and South Atlantic Seas!We are delighted to announce that the Caribbean 1500 will once again be hosted by Nanny Cay Marina in Tortola. After the extensive storm damage last year, staff and salvage teams worked extremely hard to restore facilities in time for the arrival of... Click here for more info..
Mira - SV Mira Blog #2 - Mahi Drought on MIRA is over!! 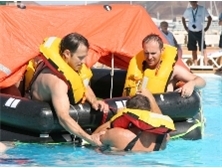 We have just had our safety equipment inspection and that alone has been worth the event entry fee! Guys it was a great event and I'm going to, with my big mouth, tell the World! Although I excel in sailing through no wind, to be able to motor thru the light parts sure keep the crews moral up. Loved it all and thanks.